Summary: The extra data collected for CECL has been found to not only be useful for CECL calculations but also for strategic planning. We explain how. 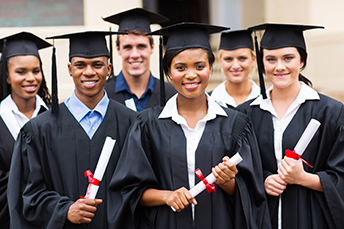 According to a Bankrate study, the most valuable college majors are: actuarial science, zoology, nuclear engineering, health/medical programs and applied math. They were judged on average salary, rate of unemployment among graduates and percentage of higher degree holders. Although banking and finance weren't among the top five, they are still important - especially in a competitive banking environment. No matter your educational background, most community bankers are starting to prepare for the test of CECL and are collecting additional loan data. The good news is that extra data collected can not only be used for these calculations, but also for strategic planning. Whether you have been thinking of M&A, adding business units or discontinuing products, the data (and the technology used with the data) is important. It helps your team to be more proactive and thoughtful about strategic planning too. Use Data to Achieve Long Term Goals: Some banks may feel that they cannot capture enough data, so they do not usually leverage it for strategic planning. But, backfilling with industry data and dynamically grouping loans, as required for CECL, makes it possible to look at different characteristics and run various "what-if" scenarios for a deeper understanding of long-term trends throughout the bank. These trends can help you better assess which long-term goals are more realistic and which ones need more research. Use Time Wisely: No one has any extra time. So, since you need to collect data with CECL, you might as well automate that, if possible. Once you have done that, not only will you be able to more easily figure out your reserve, but you can put more energy into areas you didn't have as much time for before. These can include such areas as customer profitability, where management can now dig deeper and more accurately derive answers. Use Transparency to Your Benefit: One of the outcomes of CECL is greater transparency for your bank, the auditors and the examiners. You will definitely need to be well-versed on how you calculate your reserve. So, this added transparency gives you the detail and insight you need to justify strategic plans to the board as well. Data must be clean, properly linked and readily available, so now it can also be leveraged. Banks will have to transition to CECL; so as you do, think about how best to leverage your data too. Doing so can provide deeper insights for strategic planning for instance and give your bank the opportunity to better position things, as you stay ahead of the business curve. If you are looking for the right technology and people to help you gather your data, provide you with the depth and transparency you need, and facilitate more robust strategic planning - we have a solution for you. Let us know how we can help you with CECL as well as provide innovative insights for strategic planning. PNC Bank ($380B, PA) has signed on to use the online lending platform from OnDeck, as it seeks to digitize the way it lends to small business customers, speed up the origination process and simplify its approach. PNC said it will offer digital business lines of credit this way for up to $100,000 to start. HSBC Bank USA ($179B, VA) said it will use fintech company Avant's technology platform to allow customers to apply for loans online. The platform will allow HSBC to originate loans for up to $30,000 at interest rates between 5.99% and low-20% with terms of up to 5Ys. Goldman Sachs will merge its online consumer bank known as Marcus into its investment business unit. The shift will allow it to offer a broader range of services to a greater number of customers, effectively competing more directly with brokerage companies like Charles Schwab. In what amounts to good news for banks, widely followed financial industry analyst Mike Mayo from Wells Fargo said he now has buy ratings on large US banks.